Should video game developers prioritize creating a diverse cast of characters when they are developing games for a modern audience? Whether you’re struggling with complex and thought-provoking choices like whether or not to deliver your adoptive daughter into the hands of scientists to be dissected in order to potentially reproduce her natural immunity to a global fungal zombification epidemic that has ravaged the world (The Last of Us) or simply a boy with magical sword in a fantasy land trying to rescue a princess (The Legend of Zelda), the player has to be able to relate to the protagonists’ plight in order to effectively tell the story and feel the weight of their choices. Video games in large part do pander to a specific demographic: Straight white males interested in playing games starring other straight white males. This isn’t racism, it’s capitalism. It’s the market deciding for itself what it can support. 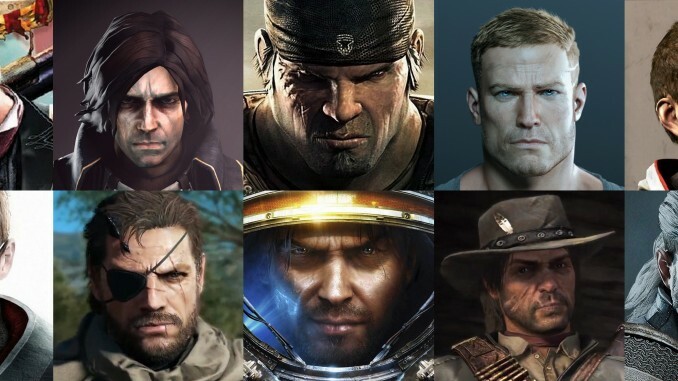 The players (read: paying customers) of video games seem to want to play games where they take on the role of roguish white male 30-somethings with rugged good looks. It’s their money, why shouldn’t they be able to buy the things that appeal to them? Why should video game developers have to meet some arbitrary diversity quota? It might round out their worlds and enrich their narratives but by potentially broadening their audience there also exists the threat of alienating their core audience by watering down what appealed to their built-in audience in order to pander to a “fringe demographic”. Alternatively, you could view this divisive topic another way: It’s not the player’s of games that have a myopic view of what a ‘hero’ looks like, it’s that video game developers have in large part failed to be courageous enough to break out of their comfort zones of video game tropes and explore different cultures, gender identities, and perspectives. If the recent success of the MCU’s Black Panther movie is any indication, audiences aren’t just interested in seeing other races, colors, and creeds on screen, they are practically starving for more diversity in their digital media. When Mattel shoehorns Barbie into a generic platformer it is rightfully lambasted by game critics and consumers alike, but when a realistic depiction of a smartly written, capable female character is placed in and genuine narrative like the orphaned Clementine from The Walking Dead (Telltale) series, the rebooted Tomb Raider series (Eidos Montreal) or the rebellious Chloe and time warping Max Caufield from Life is Strange (Dontnod Entertainment) the industry rightly applauds the bold choices of the developer. In my opinion, video games shouldn’t have casts of characters with diverse backgrounds simply for the sake of diversity. Developers should be allowed to tell the stories that they want to tell. If gamers want games with more diverse casts then they can vote with their checkbooks. The problem isn’t that there are too many straight white males in video games, the problem is that aren’t enough developers out there willing to tell stories about people who aren’t straight or white or male.